A film noir with plenty of panache, The Killers is a gritty crime story told with often mesmerizing style. In a small town, two killers track down and shoot dead the surprisingly docile ex-convict Swede Anderson (Burt Lancaster), living incognito as gas station attendant Peter Lund. Swede left behind a small amount of life insurance money to an obscure beneficiary, prompting insurance company investigator Jim Reardon (Edmond O'Brien) to delve into Swede's backstory by interviewing his associates. Reardon eventually connects with police Lieutenant Sam Lubinsky (Sam Levene), who explains that Anderson had to abandon a career as a promising boxer due to a hand injury. Smitten by beautiful gangster's moll Kitty Collins (Ava Gardner), Anderson drops his girlfriend Lilly (Virginia Christine) and turns to a life of crime. He eventually falls in with the gang of crime lord "Big Jim" Colfax (Albert Dekker), including Kitty (now Big Jim's girl) and two-bit criminals "Dum Dum" Clarke and "Blinky" Franklin, and they plot an audacious big-money company payroll heist. But not everyone is playing it straight, and with bullets flying Reardon will need to piece together a complicated story of double cross to uncover the truth. Directed by Robert Siodmak as an adaptation of an Ernest Hemingway short story, The Killers is a taut and highly enjoyable crime thriller but not quite as perfect as its reputation would suggest. Although the plot is gripping and the stylistic elements are textbook noir, the film suffers from a few but significant shortcomings. The first is the gaping emotional hole in the middle of the story. 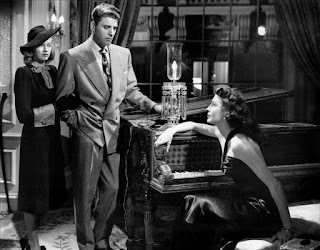 Siodmak and a team of three scriptwriters (including John Huston) settle on good-guy insurance investigator Jim Reardon as the most central character, and he is simply not interesting enough to hold the film together. This is a problem brilliantly solved in the 1964 remake by moving the killers themselves much closer to the core of the story. 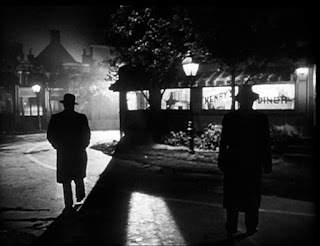 Here in the 1946 version the killers are faceless and peripheral characters, while their victim Anderson is a patchy presence, reasonably effective when on screen but all too frequently reduced to a fleeting secondary character. The second weakness is the relationship between Anderson and Kitty Collins. His infatuation with her charms is essential to his demise, but here she is marginalized to a sultry presence on the edge of relevance, almost devoid of dialogue. Anderson stands at a distance agog at her mere existence. There is simply not enough dangerous attraction or connivance between the two, and the lack of genuine sensuality undermines the drama. But otherwise The Killers is a feast for the eyes and the mind. 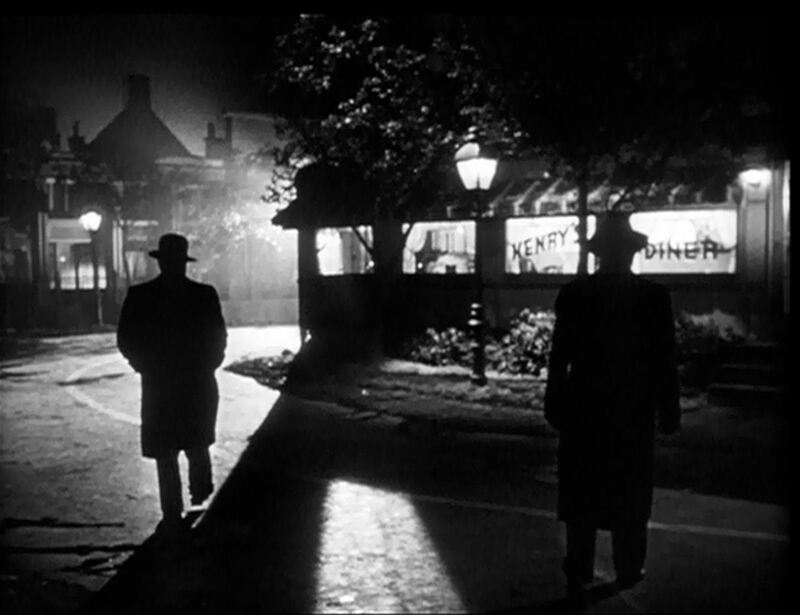 Siodmak constructs almost every frame to celebrate harsh light and dark shadows, often using background light to bathe the film in silhouettes and obscure characters and faces engaged in the shadowy world of crime. The story is rich, convoluted and satisfying, a classic tale of multiple betrayals and ingenious dishonour among thieves. Lancaster makes the most of his screen time to jump from retired circus acrobat to movie stardom. His take on Swede Anderson brings out the pathos of a strong man who could have been a contender but is now reduced to pursuing a life of crime, ensnared by men and women way more sophisticated at the game of treachery. Ava Gardner is underused but still intermittently captivating, while the rest of the cast members are generally entrenched in relatively stock portrayals. Despite some stumbles, The Killers is a fascinating story of many flawed men and one scheming woman, enhanced by a visually stunning package.